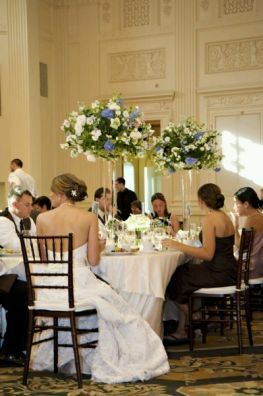 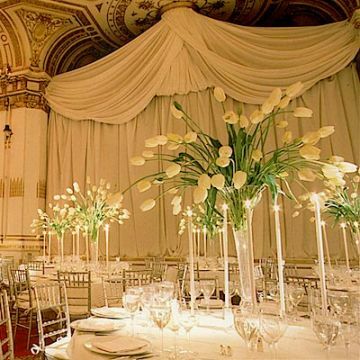 Today there are a variety of floral arrangements and centerpieces ideal for a wedding, however, not all are the most recommended for certain types of receptions and parties, in fact, each type of arrangement is designed in a certain class of environments and styles. This time we present Tall Centerpieces and Arrangements, actually one can reach heights of several forms, a favorite is through the use of branches, another option is to use tall vases or containers or finally choose flowers high by nature, on the other hand, if you prefer a floral arrangement that is not tall, you can try with other elements as we will show later. 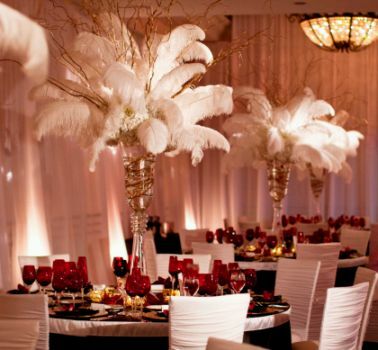 The use of this type of presentation for rooms with high ceilings or large environments as you need "fill" with the arrangements, the case may be, remember that being in the middle of the table, you should do something too abundant especially at the height of the faces of the guests as if so, they could not look much less talk during the reception. 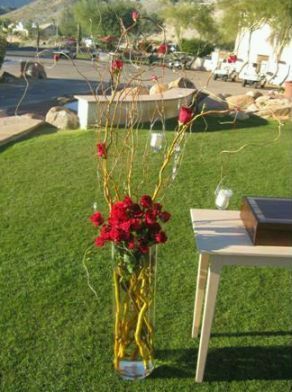 In this first image we just use the branches to extend the height of the array, this in combination with the appropriate container, gives a very good result. 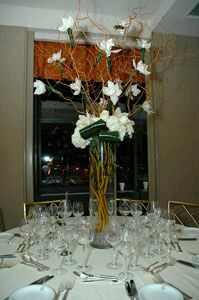 Another example of using tall vases and long branches, as seen in the picture, it is an environment with high ceilings. Nice arrangement of roses and branches that even being outdoors, manages to fill the space where you are. 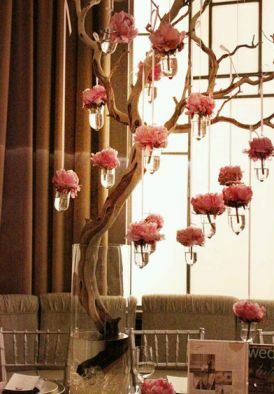 Pretty and romantic proposal involves placing flowers in small containers with water, and hang a large branch, not only is a tall centerpiece with volume but an original proposal. 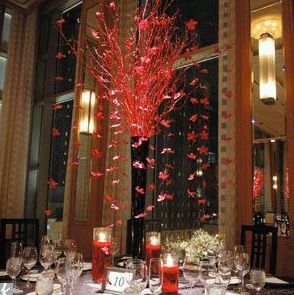 In this new proposal can check how well the arrangements remain high without flowers, only used in these branches and some candles to give that touch of sparkle that makes them so special. 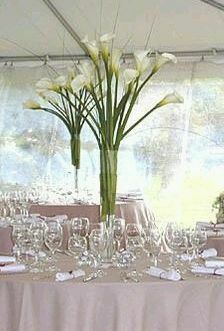 The Calla Lilies, Water Lilies or as you call them, are an excellent choice for achieving high and elegant arrangements. 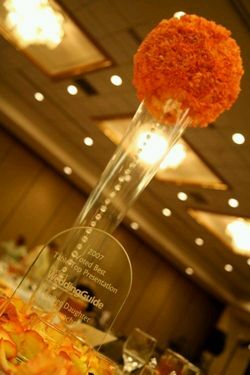 Sometimes only need to choose recipients indicated as shown in the image. Similarly, in this centerpiece also appreciate what is good and tall arrangement using appropriate containers or vases. 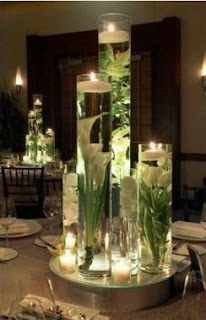 Elegant flower arrangement in which besides the vase height also took the length of the stems of the tulips. Remember that the centerpiece not impede communication between guests, comfortable one table. 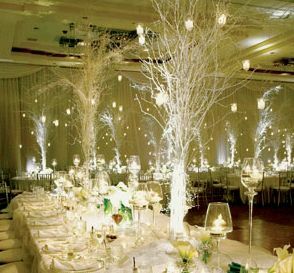 Finally, if you want something completely original, cheer these centerpieces with branches and white feathers, the result is simply amazing.